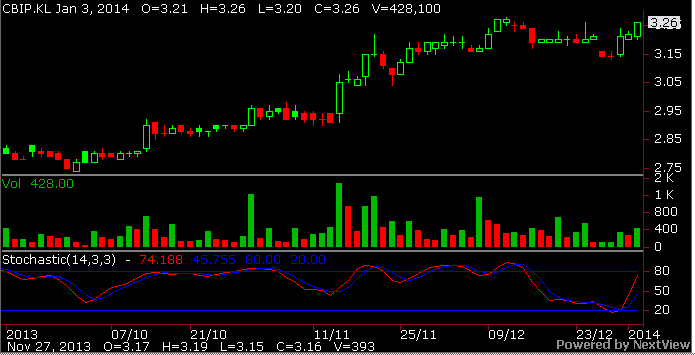 This daily chart of CBIP looks positive. The candlesticks and stochastic are in accord. 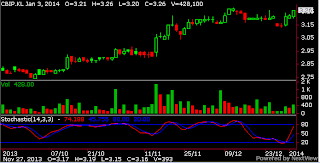 Once the overhead resistance level at RM3.28 is crossed, the stock should be on track to trend higher. Keep a close watch. Believe what I say at your own risk.